Oli Doyle artfully introduces us to a place where we stop arguing with reality, where we stay anchored in the moment and accept the way things really are. Putting Oli’s suggestions into practise I am becoming a better human being. I am better to myself and I am better to others at home, at work and at play. 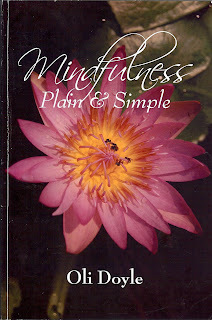 This book lives up to its promise “that mindful awareness is possible in everyday life, and you don’t need to move to the forest to become a peaceful, mindful person.’ It is delightful and easy and I recommend it to all human beings.